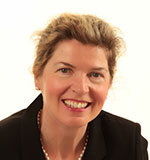 Mary B. Walsh is the founder and Managing Director of Ire Wel Pallets Ltd. Established in May 1990. IWP is a pallet and packaging solutions provider, supplying pallets, boxes and crates to its exporting customers. The company’s customer base includes organisations in the Medical Devices, Pharmaceutical, Food, Drinks Electronics and Engineering industries. Based near Gorey, Co. Wexford, IWP operates from the first purpose-built pallet manufacturing facility in Ireland. The company operates from a 300,000 sq.ft. ventilated storage facility for Kiln Dried Timber Pallets, in addition to the Production facilities on-site. A 2015 investment of €1.5m. and an additional €1m. in 2017 has introduced new technology on site that has given the company more control over its production, quality and stock. With customers nationwide, the experienced and skilled IWP team are now exploring export markets, including the UK. IWP currently employs 50 staff in Gorey and plans to expand further.